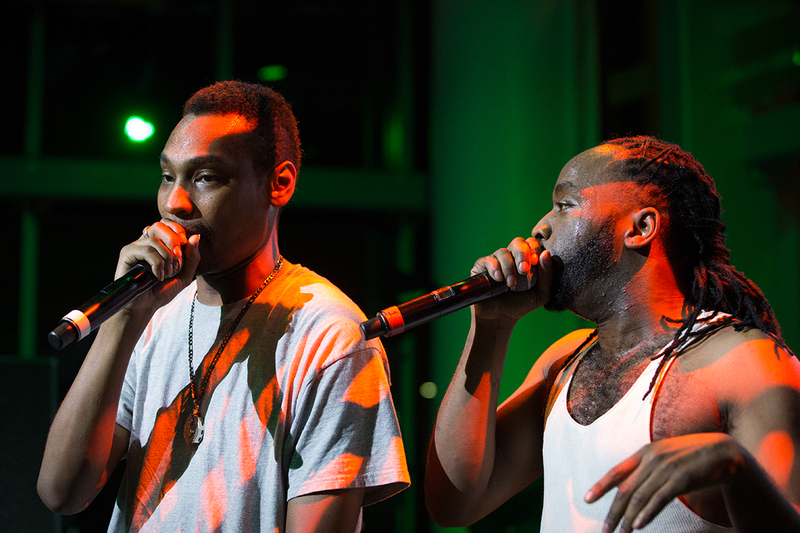 The Rathskeller served up more than drinks on Friday as it hosted a performance by the Ying Yang Twins in collaboration with Hurricane Productions and the Rathskeller Advisory Board. A total of 800 students and guests showed up at the Rat Friday night to attend the on-campus concert. “Seeing as we have never had an event like this in the Rat before, we were all very unsure of how things would go,” said Julie Earl, chair of the Rathskeller Advisory Board for Hurricane Productions. Before the doors opened at 9:30 p.m., a line formed from outside the Rat that extended to the far end of the Student Activities Center. “I started off thinking ‘We’ll be happy to get about 200 people to come,’ to ‘Wow, I didn’t realize how many people still loved the Ying Yang Twins,’” Earl said. The concert began with DJ Push Play, a Miami-based disc jockey, working the turntables. The Ying Yang Twins were scheduled to perform at 10 p.m. but did not make it to the stage until a little over an hour later. They also performed an improvised a cappella rendition of “Get Low,” a song they are featured on, singing together with the crowd during some temporary technical difficulties. The Ying Yang Twins announced at the end of their performance that they are releasing a new album called “The Ying and the Yang” later this year. Earl said that Rathskeller is intended to be a late night venue and has gotten a lot of encouragement to bring back that atmosphere. “We hope students had a fun time and we’re excited to say this paved the way for a wider variety of programming in the future,” she said.